The National Mentoring Symposium is an annual one-day conference. The National Mentoring Symposium is an annual one-day conference designed to provide attendees with timely information about peer mentoring in higher education. The National Mentoring Symposium, which began in 2002, serves as a resource for peer (student) mentors, mentor program directors, faculty, and academic advisors to enhance their skills and understanding of strategic methods for mentoring students. The 15th Annual National Mentoring Symposium, hosted by the IUPUI Bepko Learning Center in the Division of Undergraduate Education, was held at the IUPUI Campus Center on Saturday, October 7, 2017. 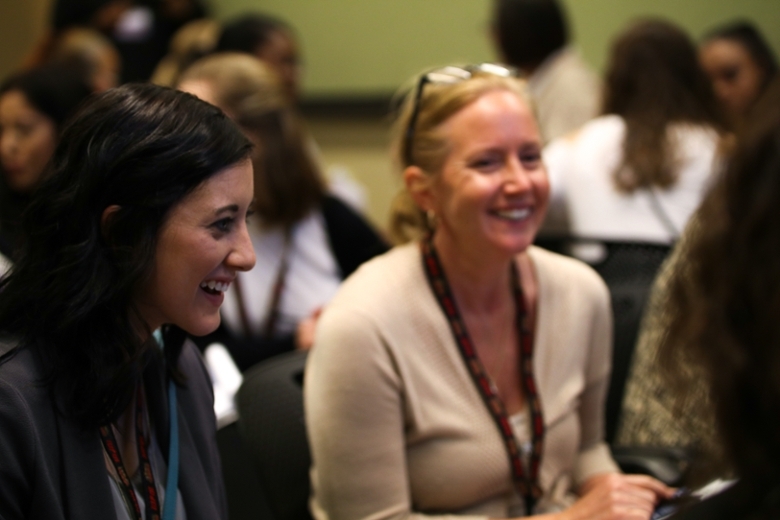 Approximately 475 attendees from across the country gathered to network, learn skills and techniques to apply with their own peer mentoring programs, and share successes they have experienced at their respective campuses. Attendees from across the country attended concurrent sessions on a variety of topics. 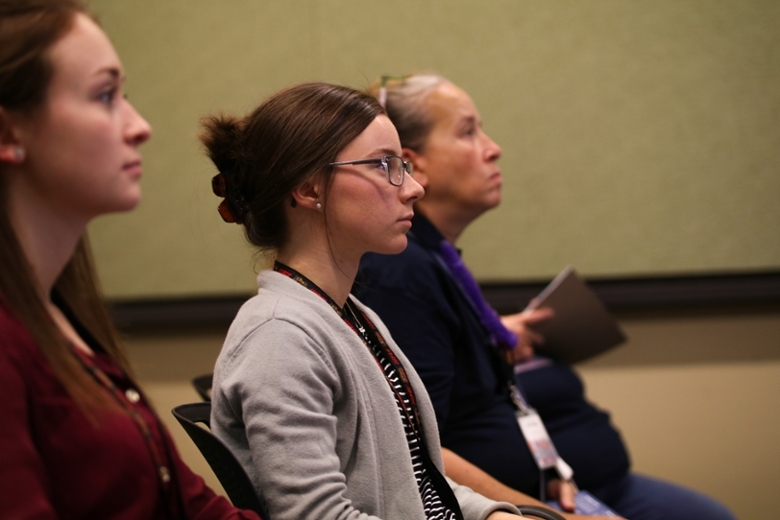 Participants at the symposium attended their choice of over 30 concurrent breakout sessions on a variety of topics, as well as informal poster presentations. All sessions were organized into tracks that targeted specific audiences, such as peer mentors, faculty, advisors, and program administrators. 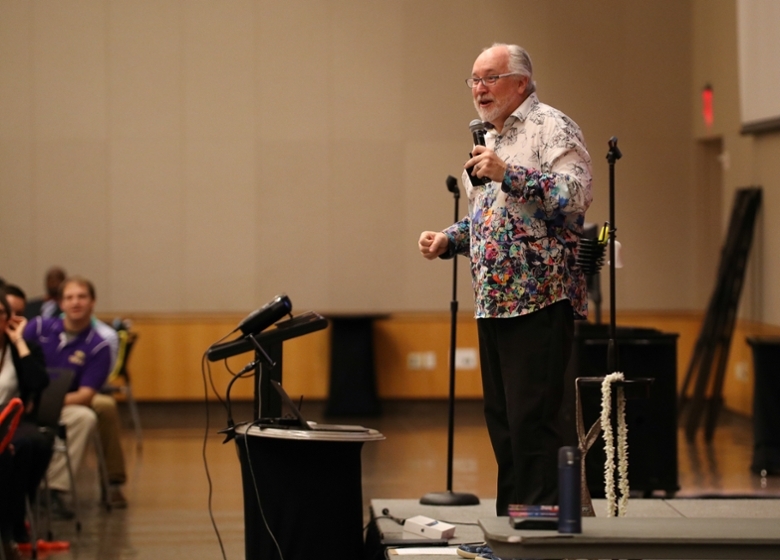 The keynote speaker for this year’s National Mentoring Symposium was Kevin Wanzer, an internationally recognized motivational speaker, who encouraged the audience to discover their hidden passions, embrace diversity, and celebrate the laughter in us all. Keynote speaker, Kevin Wanzer, speaking on discovering hidden passions, embracing diversity, and celebrating the laughter in us all. Associate Vice Chancellor for Undergraduate Education Jay Gladden states, “Peer mentoring is first and foremost about building relationships to foster student success. Sometimes all that is needed is a caring individual with a willingness to listen to make a difference in a student’s life and to prompt the student toward a positive, successful academic and life journey.” The National Mentoring Symposium continues to provide such a venue for students and professionals to learn and to grow as effective mentor leaders as they provide programming and opportunities to increase undergraduate student success.